Brought to you this week by the letter C....the ingestable letter C.
Before Grandma J gets into the meat of this post, not that it has anything to do with meat because it doesn't. Anyway, she'd like to apologize for her lack of blogger behavior. In two years she has never gone more that a couple of days without posting something interesting and informative silly and annoying.....until now. 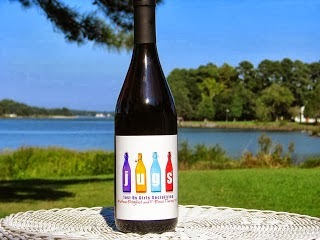 Her last post was all about Boysenberry this and that, and the reason was because it was A to Z Monday. So, here it is a week later without any posts in between B and C.
What Grandma J means is she is so sorry for giving you a rest from her head splitting full of nonsense knowledge. Let's get on with this weeks edible C, shall we? This is what Grandma J's California grandkids have been having for breakfast since she's been babysitting. Cheerios. They also get fresh fruit. 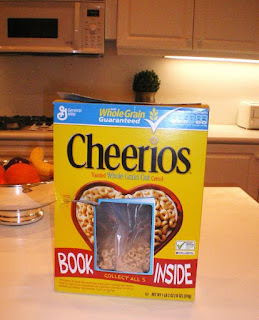 Except for Elise who convinced Grandma J that these Cheerios are chock full of fruit. Grandma J fell for it believes her. As for Grandma J....after dropping off the kids at school, she opted for her own C breakfast. 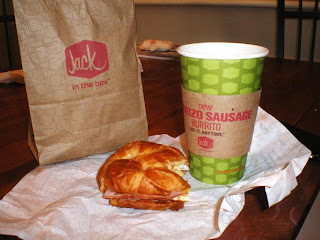 A Jack Croissant and Coffee. Do you have a C word for us? Stop by A to Z Mondays and share...and enjoy all the other edible C words. I've missed your nonsense! But glad you took the time to C us. I've outgrown Cheerios too. ha. Oaty-O's!! Organic and they hold up lots longer in milk. No soggy circles any more!! Pat even brings them to me in his suitcase (along with Trader Joe's goodies) when I'm up in N.Idaho...Yup, they're that good. I still love cheerios. And canelope. And corn bread. And canned corn. just kidding. I don't like canned corn!!! Hi, We eat a lot of Cheerios cause they are pretty low in sugar compared to most cereals. I sure do get tired of cereal though - I like your breakfast much better! I have the number one "C" word for us....CHOCOLATE! Although I do like Cheerios...but not as much as CHOCOLATE! I'd definitely take the croissant and coffee over the colored cardboard ("fruity" Cheerios, that is)! Thank goodness Grandma J. is back. BTW, when she comes to Blog Fest, can she bring some Jack in the Box tacos? They're to die for--hopefully not literally like the hamburgers were a while back. Seriously, those are some darn fine tacos. My husband works for General Mills... we have a lot of Cheerios. Newest one is Chocolate Cheerios. Can't tell you how they taste as I prefer a Mickey D's Egg McMuffin and a large Diet Coke to start my day. 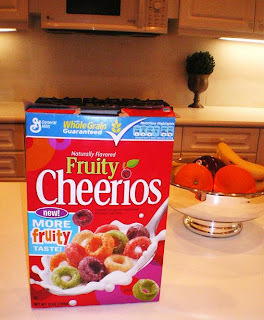 There is totally fruit in those cheerios! I mean, look how colorful and bright they are! That kind of color can only come naturally : ) No way a dye could make that! I like coconut with extra cream and 1 sugar : ) from Dunkin Donuts if at all possible! That croissant looks SO good right about now. Hummm, wonder if I could send Keelan to Jack in the Box????? I already have my coffee in front of me! Don't feel bad about not blogging so much lately. It happens to almost all of us. And those fruity Cheerios aren't full of fruit? That sandwich looks good! Not a big fan of Cheerios, especially technicolor ones.